We have new instructional math education video, called Distance Formula. We have new instructional math education video, called Partitioning a Segment. We have new interactive quiz, called Partitioning a Segment. We have new lesson page that houses our material on Coordinate Geometry. There are three new quizzes. We have a new video, called Inscribed Angle and Arc Relationship. We have a new text lesson, called Inscribed Angles. We have two new text lessons, called Circle Terminology and Central Angle and Arc Relationship. We have a new instructional video, called Secant-Secant Arcs and Angle Relationship. We have a new instructional video, called Powers of I. We have a new instructional video, called Central Angles and Arcs. We have a new instructional video, called Proof of the Chord-Chord Product Rule. This marks our 140th instructional video! We have a new instructional video, called Chord-Chord Partial Length Relationships. We have a new instructional video, called Chord-Chord Arcs and Angle Relationships. Within our Chord-Chord Relationships lesson, a new section was added concerning arcs and angles. We have a new text lesson, called Chord-Chord Relationships. We have a new instructional video, called Solve Quadratic Equations by Graphing. A new lesson was created, called Solve Quadratic Equations. 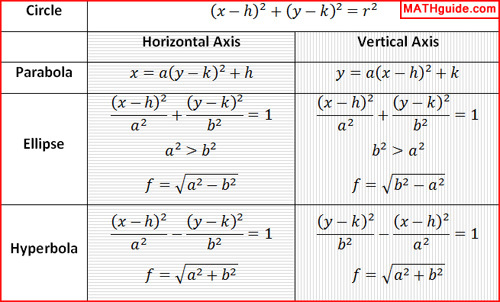 This page houses all of the methods (several) that are available for solving quadratic equations. We have a new instructional video, called Solve Quadratic Equations by Factoring. We have a new instructional video, called Solving Absolute Value Inequalities. We have a new lesson, called Solving Absolute Value Inequalities. Two new lesson pages were created. Since several closely related topics had their own lesson pages, a Similarity lesson page was created to better tie them together. Also, a section on Dilations was moved to its own page, which was cut from our Similar Figures page. This organizational shift should make it easier for the mathematics material to be learned. We have a new video, called Proportions. We have a new video, called Similar Figures. We have a new lesson, called Similar Figures. We have a new lesson, called Proportions. We have a new quiz, called Dilations. We have a new video, called Dilations. We reached our 130th instructional video! There is a new interactive quiz, called General Form to Standard Form [with help]. This was our most challenging quiz to create, to date. However, it is a very helpful checking mechanism for a multi-step process. There are two new instructional videos, Surface Area of a Sphere and Volume of a Sphere. A new video was added, called Area Formula for Regular Polygons: Derivation. A new video was added, called Area of Regular Polygons. It rests nicely within are new, appropriately named lesson, called ... (shocker) ... Area of Regular Polygons. A new video was added, called Add & Subtract Positive & Negative Numbers with Number Lines. A new video was added, called Multiplying Postive and Negative Integers. A few buttons were added to the front page: puzzles (resurrected the page), search (switched from a form input), updates, and contacts (new button!). A few other adjustments were made to also make it look more attractive to mobile devices. To house our video on vectors, we created a comprehensive lesson page. It has been appropriately called Vectors. We have a new quiz, called Radians to Degrees. We have a new quiz, called Degrees to Radians. We have a new video, called Volume of a Cylinder. We have a new lesson, called Expected Values. We have a new graphic organizer for equations of conic sections in standard form. See it HERE. There is a new video, called Conic Sections: General Form to Standard Form. To provide support for our new quiz (added on April 26th), we added a process flow graphic to the quiz and added a text lesson that explains how to use it. View the lesson, called Identifying Conic Sections. We have a new quiz, called General Form to Standard Form. It requires the user to take an equation of a conic section in general form and algebraically change it into standard form. We have a new quiz, called Identify the Conic Section. We have a new lesson, called Probability Basics. We created a different kind of video, called The Monty Hall Problem: A Game Show Probability. It explains exactly what The Monty Hall Problem is and the best strategy for getting the big prize! We have a new instructional video, called Simplifying Trigonometric Expressions. We have a Strategy Tutorial that explains the mathematics of Clash of Clans. We have a new interactive quiz, called Graphs to Equations. We have a new video, called Increase, Percent Increase, and Mean. Find it in our Problem of the Day section. We have a new video, called Parametric Equations. Find it in our Problem of the Day section. MATHguide has a lesson page on how to calculate the Area of an Irregular Quadrilateral. There are two cases presented, SASSS and SASAS. We have another problem of the day, called Evaluating Functions. You can find it within our Problem of the Day section. Our latest instructional math video is called Area of Irregular Quadrilaterals: SASAS. We have a new instructional math video, called Area of Irregular Quadrilaterals: SASSS. We uploaded our 100th instructional math video! It's called Perimeter of a Regular Hexagon and it can be found within our Problem of the Day section. We have a new instructional math video to report, called Order of Operations. MATHguide has two new math videos that demonstrate how to use The Law of Cosines: find a side and an angle. Find them within our Law of Cosines lesson page. MATHguide has two new math videos that demonstrate how to use The Law of Sines: find a side and an angle. Find them within our Law of Sines lesson page. MATHguide has two new math videos that deal with fractions, how to Multiply and Divide. MATHguide has a new math video: Problem of the Day: System of Equation. MATHguide has a new math video: Systems of Equations: Reduced Row Echelon Form.